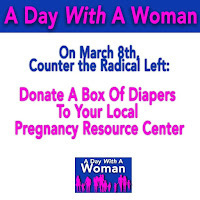 Patti Maguire Armstrong: 16 Ways to Counteract "A Day Without a Woman"
Given that “A Day Without A Woman” is planned by the same people who think it's okay to abandon motherhood in the womb and told pro-life women they were not welcome at the January march, are pro-life women invited to take the day off also? Just wondering, not that I expect pro-life women to walk out on their responsibilities that day. 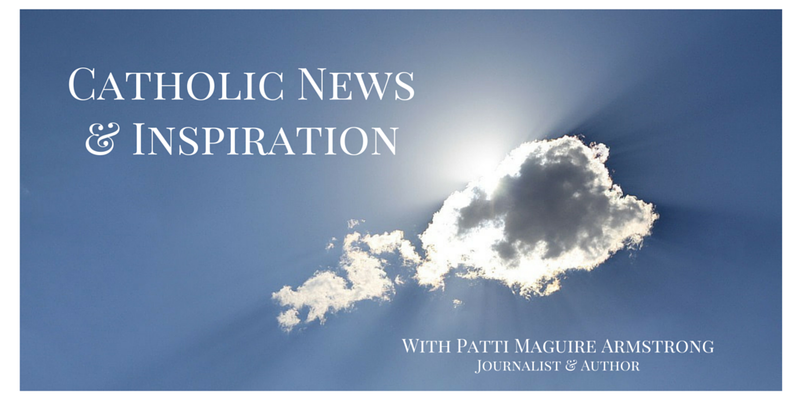 Will workers at abortion facilities walk out on their jobs that day? That would be a silver lining. How will this prove that a woman’s job performance is as good as a man’s who does show up for work that day? Since no one’s economic situation has changed in the last 2 months, why are the gender oppressed blaming the Trump administration? Or perhaps the reporter just threw that tidbit in for fun. And who will provide day care to all the students without teachers that day? For women who plan to function like an adult on Wednesday, here are some suggested activities. 1. Write a blog explaining why this is not your event. 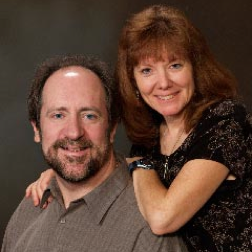 Tag or Direct Message your links to Teresa Tomeo and she'll add them to her blog resource list. 2. If you are looking for a new job or promotion, keep your eye out for positions that might open when irresponsible employees don’t bother to show up. 3. Looking for new clients? See if you can attract those who could not count on services on Wednesday. 4. If a business you frequent shuts down for the “Day Without A Woman,” let them know you had to go elsewhere—permanently. 5. Appreciate the unsung heroes in your life both men and women. The world is full of people who show up and don’t toot their horn about it. Thank them. 6. Share your disgust on social media and in letters to the editor. 7. A group in Richmond, VA is encouraging women to come up with inspirational and clever memes to counter the Women's Day Off. 8. 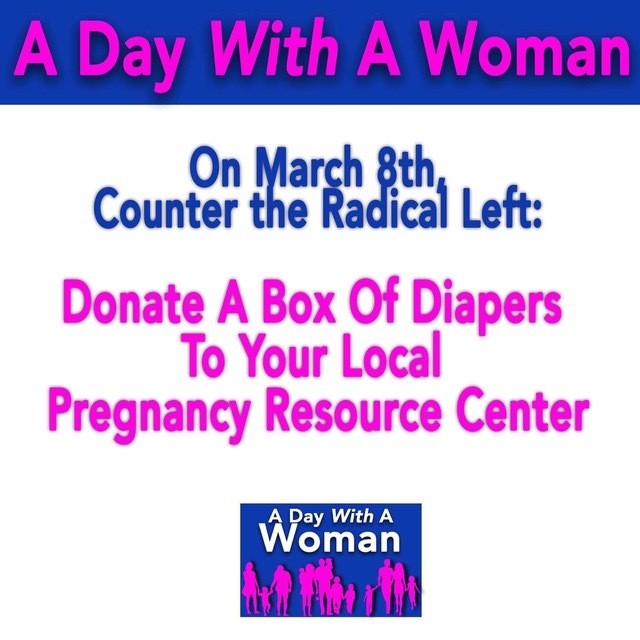 Drop off diapers, donate, or volunteer at a pregnancy center to support motherhood. 9. Go to Mass or at least spend some time in prayer. 10. Thank God our Creator for the unique gifts he has given to women. 11. Pray for the Blessed Mother’s intercession. 12. Fast in reparation for the degradation of womanhood. 13. Join in a Twitterstorm celebrating authentic femininity and Real Womanhood by using #RealWomenDontQuit all over social media. 14. Be extra productive because you can (it’s a gift) and you will (it’s a choice). 15. Pray for the organizers and unity in our country. Divisiveness is not from God. 16. Pray for our country’s leaders, both civil and religious.